The current version of the Android OS is Android 6.0.1, with the next version, Nougat, slated to be Android 7.0. Since we are still on Android 6.0.1, it’s fitting that today, our #TBT post is about Android 1.6. You know, since 6.0.1 is sort of like 1.6 backwards. Close enough. 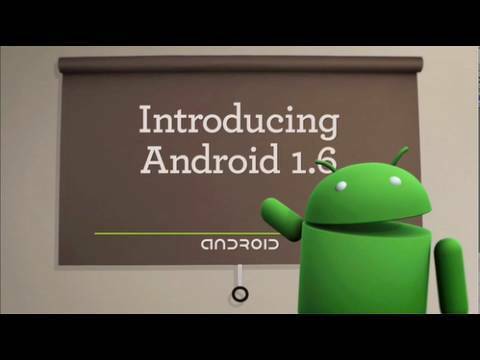 Posted onto the Android Developers YouTube channel in September of 2009, Google details the big changes taking place in Android 1.6, also known as Donut. Changes for Donut include the ability for apps to be displayed properly on various devices that feature differing screen resolutions. Apparently, that was an issue back in the day, with apps not knowing how to display themselves properly unless a specific value was provided. Woof, that must have sucked. Additionally, Android 1.6 included support for CDMA networks, not just GSM. This allowed Verizon, Sprint, and other CDMA-using carriers to get in the Android action. On the UI side of things, Donut introduced the “Quick Search” box, which we now know as the Search bar that is probably sitting on your home screen right now. On top of that, Android 1.6 also brought changes for the Android Market. When that was updated on Donut, the Android Market brought screenshots of apps shared by developers, as well as user-written reviews. As we see today on Google Play, that hasn’t changed at all. It’s pretty incredible to think how far we’ve come in a relatively short period of time. Donut was only 7 years ago. I wonder what Android will be like in another 7 years.